Who knew: Tell people you're designing 3D printed bike parts, and *everyone* will send you some variation on this article. 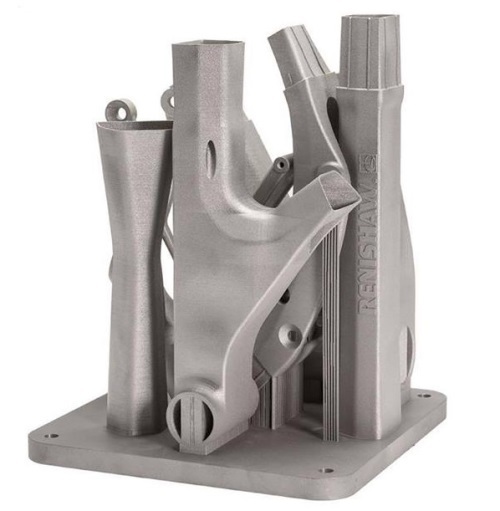 Which is great - it's a totally awesome project, and I think Empire and Renishaw are working on absolutely the right thing. By using additive manufacturing the MX6 saw a marked decrease in weight. In fact, while the original bike frame weighed 2.1 kg, its 3D printed cousin was slimmed down to 1.4kg - a 33% reduction. What’s more, because Empire’s frame was 3D printed analysis showed it to be denser and stronger than a traditionally cast frame. Here's the thing: frames aren't traditionally cast. Empire Cycles makes awesome stuff - totally crazytown bikes - but there's very little that's traditional about them. In fact, they're almost specifically atraditional - they use alternative methods of manufacturing partly as an exercise in design and manufacturing prowess.